In the Kagyu tradition of Tibetan Buddhism, Mahamudra or the “Great Seal” is considered the essence of the Buddhas’ teachings. It is also sometimes referred to as the highest and most profound teaching of the Buddhas. This Mahamudra is sometimes compared to Dzogchen (“Great Completeness”) — the essence of the Buddhas’ teachings according to the Nyingma lineage. Not surprisingly, there have been a number of figures in the history of Tibetan Buddhism who taught the synthesis or union of Mahamudra and Dzogchen. Others mastered both but taught them separately to different students as they saw fit. There are yet others — in the majority — who focused on mastering either Dzogchen or Mahamudra. The Mahamudra lineage can be traced according to the “far-lineage” as well as the “near-lineage.” The “far-lineage” is traced from the current holders of this profound lineage back all the way to the historical Buddha Shakyamuni. The “near-lineage” on the other hand is traced from the current holders back to the Indian mahasiddhas such as Saraha, Maitripa, Tilopa and Naropa who received Mahamudra teachings directly from Buddha Vajradhara. However, it should be pointed out that although these Indian mahasiddhas received Mahamudra teachings directly from Buddha Vajradhara (and hence is part of the “near-lineage”) they are also holders of the “far-lineage” as they also received Mahamudra teachings from human teachers who were holders of this “far-lineage.” Hence, the Mahamudra lineages that are currently held by the various Kagyu lineages are both of the “far” as well as “near” lineages. It should be pointed out that Mahamudra lineages are also found in the Gelug tradition as several past masters of this tradition also received Mahamudra instructions from holders of the Mahamudra in the Kagyu tradition. This lineage of the Mahamudra is known as the “Gelug-Kagyu Mahamudra” lineage — sometimes translated as the “Gelug Whispered Mahamudra” or he “Gelug Oral Mahamudra” lineage. Most of Kagyu Mahamudra lineages stem from the Mahamudra teachings that were given by Gampopa (1079-1153) to his students. Gampopa himself received Mahamudra from his root-teacher Milarepa (1052-1135) who in turn received it from his root-teacher Marpa (1012-1096). Marpa was a Tibetan who traveled to India and Nepal and received many teachings from the Indian mahasiddhas — the most important being Naropa and Maitripa who transmitted to Marpa the complete Mahamudra ground, path and fruition. Gampopa himself combined the profound teachings of Mahamudra with the graduated approach of practice as taught by the Kadam tradition. The Indian pandit Atisha founded the Kadam tradition in Tibet. Gampopa was a monk in the Kadam tradition before he became Milarepa’s disciple. Although there are many scholarly debates in Tibetan Buddhist history over the status and types of Mahamudra, Gampopa seemed to have mainly advocated two possible approaches to Mahamudra. According to Gampopa, Mahamudra can be approached via the way of sutra as well as via the way of tantra. Hence, there is sutra-Mahamudra and tantra-Mahamudra. Sometimes it is said that Gampopa also taught a third approach to Mahamudra which is neither sutra-based nor tantra-based. From Gampopa onwards, many different Mahamudra lineages began to crystallize according to the different styles of Mahamudra taught by Gampopa and his spiritual descendents. 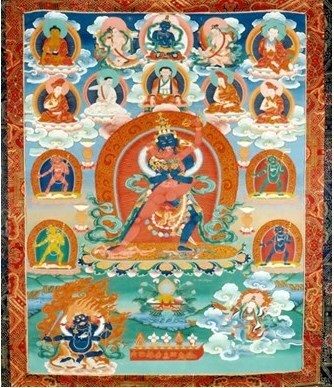 Some of the Mahamudra traditions that can be traced back to Gampopa or his descendents are the tradition of “Simultaneous Production and Union,” the “Six Equal Tastes,” the “Four Letters” and the “Fivefold Profound Path.” These traditions are still upheld by the four surviving Kagyu lineages (Karma, Taglung, Drukpa and Drigung Kagyu). In the Drigung Kagyu, the main Mahamudra system is that known as the “Fivefold Profound Path of Mahamudra” or also known as the “Possessing Five.” Although Gampopa himself also taught this particular approach of Mahamudra, its name was given by his successor Phagmo Drupa (1110-1170) who was the root-teacher of the founder of the Drigung Kagyu, Kyobpa Jigten Sumgon. Although this system of the Five-fold Profound Path is chiefly held by Drigung Kagyupas, Phagmo Drupa himself also authored a text on this system known as “Verses on the Fivefold Path.” Masters of Trophu Kagyu (this particular Kagyu lineage no longer survive as an independent lineage) and Taglung Kagyu have also written on this particular system. Gyalwa Yang Gonpa, a teacher of the Drukpa Kagyu wrote the “Drop of Nectar: the Fivefold Path.” The Omniscient Pema Garpo of the Drukpa Kagyu also wrote about this system in his “Kernel of Mind.” Situ Chokyi Jungne also wrote extensive commentaries on the Fivefold Profound Path. 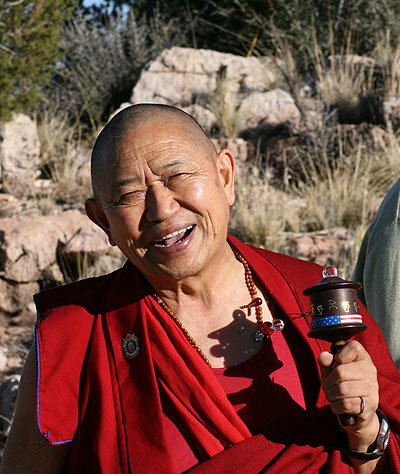 In his “Preface” to Khenpo Konchog Gyaltsen Rinpoche’s book “The Garland of Mahamudra Practices,” (a translation of Gyalwang Kunga Rinchen’s [1475-1527] “Clarifying the Jewel Rosary of the Fivefold Profound Path.”) His Holiness Drigung Kyabgon Chetsang Rinpoche points out that these days those who rely on this system mostly follow the commentaries given by Drigung Dharmakirti. Many other Drigung Kagyu teachers of the past also wrote extensive commentaries on this system of the Mahamudra. It goes without saying that Kyobpa Rinpoche himself also wrote several texts and many songs on this subject. dedication — perfect dedication of one’s virtues. the nature of samsara as unsatisfactoriness. guru-yoga for the inspiration-blessings of the root and lineage teachers. Only after these practices have been “completed” (100,000 practices of each of the four) does one properly begin the first fold of the Five-fold Profound Path — bodhicitta. It will not be rewarded in the assembly of gods and humans. Bodhicitta is briefly defined as the “altruistic intention to free all sentient beings from samsara.” Very often, bodhicitta is confused with compassion. Although compassion is one of the most important factors in the generation of bodhicitta, it is not in itself bodhicitta. 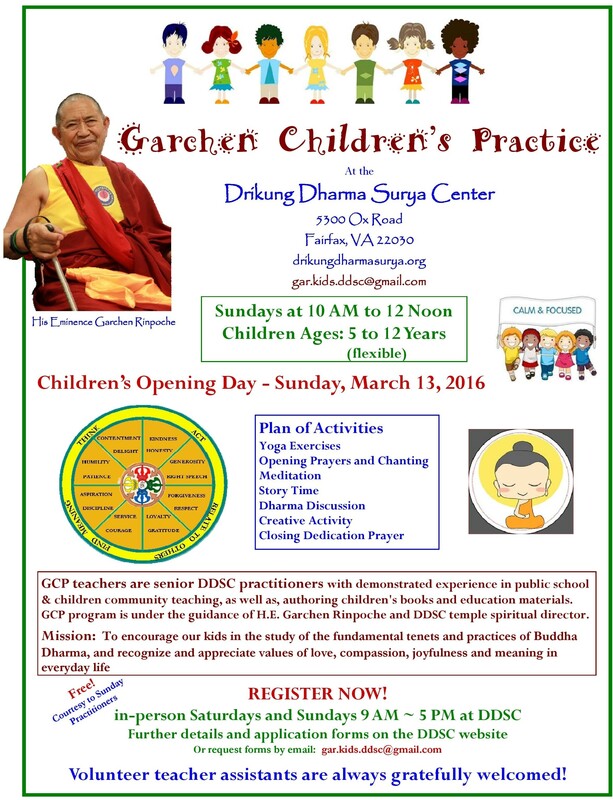 The arousal of bodhicitta begins by first attending to the generation of loving-kindness for all sentient beings. It is said that loving-kindness is the feeling that one gets when one sees a newborn child. When we see a small child, we often automatically think kind and friendly thoughts towards the child. We spontaneously wish that the child be safe, happy and protected from all harm. There is nothing as soothing as the sight of a soundly sleeping child. It is that warmth and unconditional love that we are trying to generate for all sentient beings. We try to regard all sentient beings as our own children whom we love unconditionally. We pray for their well-being, safety and protection and are willing to give up our own lives for their sakes. When we are able to feel this way towards all sentient beings, we will naturally be able to generate compassion. Compassion is the feeling of wanting to free others from suffering and the causes of suffering. It is the feeling that we get when we encounter someone suffering from a terrible disease or undergoing intense physical and emotional pain. We want to be able to help and to ease that pain; that suffering. Having thus generated and cultivated both loving-kindness and compassion, we can then arrive at the point when we are ready to truly generate bodhicitta. As defined earlier, bodhicitta is the “altruistic intention to free all sentient beings from samsara.” Realizing that sentient beings are completely under the power of samsaric suffering, we come home to the powerful recognition that only by arriving at the state of complete Buddhahood can samsaric suffering be conquered once and for all. Although there are many ways to ease the suffering of sentient beings, they are all temporary and non-final. Only by completely uprooting the cause of suffering are we then thoroughly free from suffering. And this is the state of ultimate liberation, of complete Buddhahood. This knowledge — the knowledge of the faults, cause, end of and path to the end of samsara is wisdom. Hence, bodhicitta is the resolve that arises from loving-kindness and compassion on the one hand and wisdom on the other hand. When these two aspects come together, bodhicitta is generated. The second section of the Five-fold Profound Path is the practice of Yidam. Yidam practice refers to the generation and completion practices of the highest yoga tantra and in this particular case in the highest yoga tantra system of the Chakrasamvara cycle of teachings. Although the principal yidam of Marpa was Hevajra, his teacher Naropa predicted that Marpa’s lineage would eventually rely on Chakrasamvara as their main yidam. Hence, it was the practice of Chakrasamvara that Marpa transmitted to his main disciple, Milarepa. There are many different forms of Chakrasamvara appearing with different number of faces, hands, and number of surrounding retinues. In the Drigung Kagyu lineage, the most popular and common Chakrasamvara deity practice is in the form of the Five-deity Chakrasamvara. The Five-deity Chakrasamvara includes the central deity of the two-armed, single-faced male Chakrasamvara deity in union with the female Vajravarahi deity (these two in union are taken as a single deity) and four surrounding dakinis in the four directions. Yidam practice is a very special tantric practice in which one transforms one’s normal, samsaric experience of reality into an extraordinary experience of the true state of all phenomena. While the teachings of the sutra-level consider ignorance as the root cause of samsaric existence, the tantric teachings identify the ordinary appearances as the root cause of samsara. The practice of Yidam is a special and profound method to quickly transform ordinary appearances into enlightened appearances. To be more accurate, this practice uncovers the actual state of appearances and reveal them to be pure and empty unceasingly. Yidam practice does not make ordinary appearances into something they are not — pure and empty of inherent existence. Rather, it uncovers the purity and emptiness that have always been there but obscured and unseen. The retinue of dakinis will not assemble. The Stream of Blessings will not flow. The Guru-yoga practiced as the third section of the Fivefold Profound Path is slightly more involved and detailed than the Guru-yoga practice found in the set of practices found in the inner foundational practices (ngondro). Specifically, the Four-kayas Guru-yoga” is practiced here. These four kayas or “bodies” refer to the Emanational body (Skt. nirmanakaya, Tib. trul-ku), Enjoyment body (Skt. sambhogakaya, Tib. long-ku), Reality body (Skt. dharmakaya, Tib. cho-ku) and Nature body (Skt. svabhavikakaya, Tib. ngowo nyi-ku) which is the inseparability of the first three bodies. Within this context, the first three bodies are considered relative truth and the fourth body is ultimate truth. A practitioner will first practice the Emanational body Guru-yoga practice where the Teacher is visualized in the form of Shakyamuni Buddha (himself/herself in his/her ordinary form). He/She then meditates on the Teacher on the Enjoyment body level as Vairochana (and himself/herself as the yidam) Buddha and for the Reality body in the form of Vajradhara Buddha. Finally, when he/she arrives at the Nature body level of guru yoga practice, the Teacher meditated on without any form, color, name or shape. Is the nature of one’s own mind. When the mind has become ripened through Guru-yoga practice, one finally arrives at the heart of the Five-fold Profound Path — the actual practice of Mahamudra itself. “Sustain the fresh, non-arising mind without delusion. We will not be discussing this topic any further as Mahamudra is best learnt directly from a living teacher. However, there is a link to a simple but yet profound teaching on Mahamudra given spontaneously by one of the most important Drigung Kagyu lineage masters alive today — His Eminence Garchen Rinpoche who is the main Drigung Kagyu Rinpoche in Eastern Tibet. Finally, there is the section on Dedication as the fifth section of the Fivefold Profound Path. Dedication is one of the most distinctive features of Buddhist practice — a practice that is done at the end of all practices be it of the hinayana or mahayana (both sutra and tantra levels). By dedicating the merit of one’s practice for the welfare of all sentient beings’ complete liberation from all suffering and the causes of suffering one ensures that one’s practice remains pure and beneficial. As with most practices, there are relative and ultimate aspects (and it is important to remember that one does not privilege one aspect over the other but rather perfectly practice on both levels as they are in reality inseparable). On the ultimate level of Dedication — Dedication in the context of Mahamudra — one dedicates the merit with the understanding of the emptiness of oneself, the merit dedicated and the dedication itself; the threefold emptiness. The Five-fold Profound Path of Mahamudra is a complete path to the attainment of perfect enlightenment within one lifetime. Many practitioners in the past have taken this Path and arrived at the other shore of complete peace. At the present, there are also many sincere practitioners of this Path practicing under the expert and compassionate guidance of the lineage teachers of the Drigung Kagyu lineage. There are also many other sincere practitioners of Mahamudra tradition of Gampopa following the different Mahamudra traditions that have developed out of Gampopa’s basic Mahamudra system. Furthermore, aside from the purely Kagyu Mahamudra lineages, there is also the Mahamudra practice lineage within the Gelug lineage. Mention should also be made of the “union” of Mahamudra and Dzogchen practices derived from some lineage masters of the Kagyu and Nyingma.